Anthony Coleman is a composer-keyboardist who has performed and recorded throughout the world. 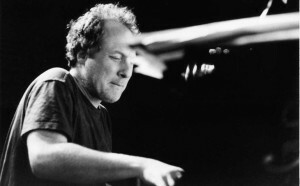 His projects include the piano trio Sephardic Tinge, which has released three discs: Sephardic Tinge, Morenica, and Our Beautiful Garden Is Open (all Tzadik) and has performed at the Sarajevo Jazz Festival (with support from Arts International), North Sea Jazz Festival, Saalfelden Festival, and the Krakow and Vienna Jewish Culture Festivals. His Selfhaters Orchestra has issued two CDs: Selfhaters and The Abysmal Richness of the Infinite Proximity of the Same (both Tzadik). His compositions for other ensembles include Latvian Counter-Gambit for chamber orchestra, commissioned by the Crosstown Ensemble, Mise en Abime, commissioned by the Bang On A Can All-Stars/Jerome Foundation, Goodbye and Good Luck, commissioned by Neta Pulvermacher and Dancers/Meet The Composer, as well as commissions from Relche, Aspen Woodwind Quintet, and David Krakauer/Concert Artists Guild. Coleman’s compositions can also be heard on the following CDs: Carol Emanuel’s Tops of Trees (Koch); Guy Klucevsek’s Manhattan Cascade (CRI); A Guide For The Perplexed (Knitting Factory Works); A Conspiracy of Dances (Einstein); and Polka From the Fringe (Wave/Eva). Coleman’s other major projects have included by Night, a series of pieces based on experiences in the ex-Yugoslavia (Disco by Night [Avant]) and the duo Lobster and Friend, with saxophonist Roy Nathanson (The Coming Great Millennium, Lobster and Friend [both Knitting Factory Works] and I Could’ve Been A Drum [Tzadik]). He has also produced several recordings for other artists, including Marc Ribot, Basya Schecter and Pharoah’s Daughter, Romanian singer Sanda, as well as the acclaimed With Every Breath – the Music of Shabbat at BJ [Knitting Factory Works]. Anthony Coleman has received grants and residencies from the New York Foundation for the Arts, the Djerassi Colony, the Civitella Ranieri Center, the Frei und Hansestadt Hamburg Kulturbehrde and the Yellow Springs Arts Center. In the last year, Coleman has been the subject of a three-day festival, Abstract Adventures, in Brussels, Belgium. He presented a concert of his music as part of the Interpretations series at Merkin Concert Hall, NYC. He spent the spring semester of 2003 teaching theory and composition at Bennington College in Vermont and toured Europe with his new trio, Professionales, featuring Brad Jones and Roberto Rodriguez. He has degrees in composition from the New England Conservatory of Music and the Yale School of Music and attended Mauricio Kagel’s seminar at Centre Acanthes in Aix-en-Provence, France.